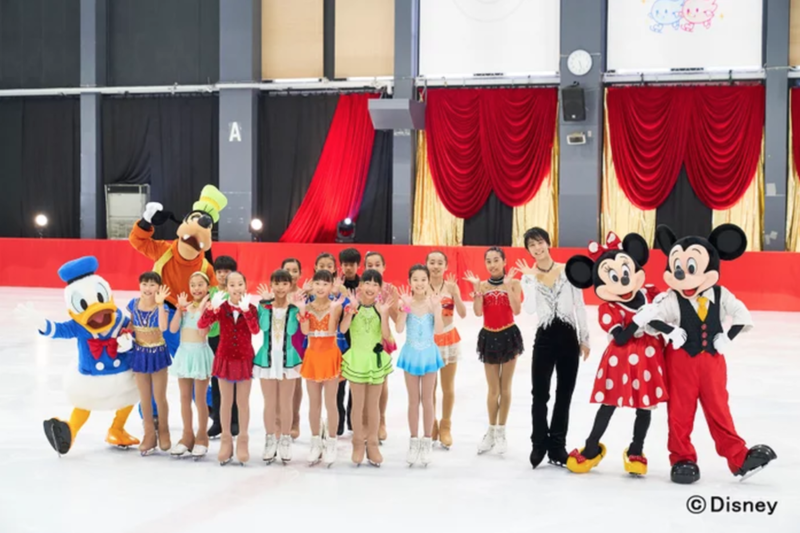 This week: Yuzuru Hanyu with Mickey and no Pooh, Stephen Gogolev hits a milestone at the Junior Grand Prix, Grant Hochstein and Caroline Zhang get married and more. A rundown of news you may have missed this week. Roundup is published every Saturday. Follow us on Twitter for the most timely updates throughout the week. If you have news, announcements and/or shoutouts you'd like to be included in the week's roundup, DM us on Twitter and we will take it into consideration! Anna Pogorilaya is training for the competitive season ahead, planning to skate at Russian test skates on September 9th, according to her coach, Anna Tsareva (Source). SP - Esperanza (same as last season), FS - Frida. Gabrielle Daleman's 2018-2019 programs (debuted at GTSA Summer Skate) (Source). SP - Carmen (same as last season), FS - Samson and Delilah. 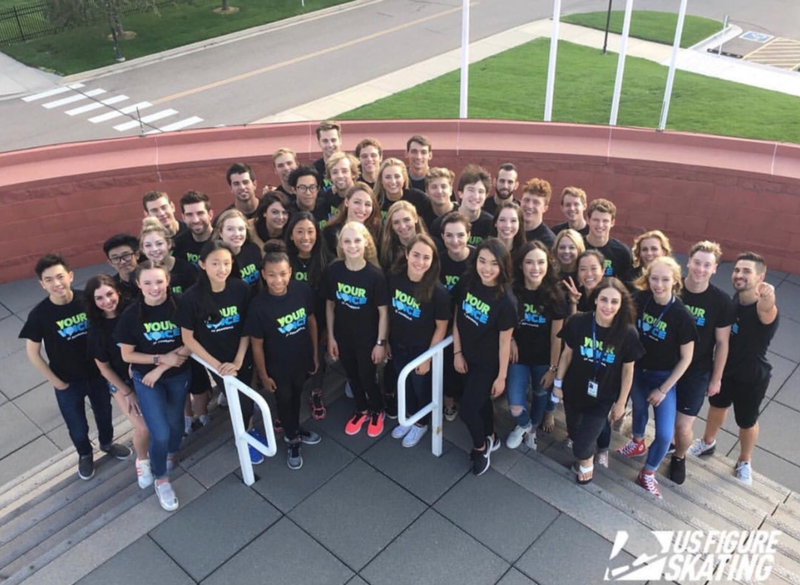 Keegan Messing's 2018-2019 programs (debuted at GTSA Summer Skate). SP - Michael Buble's You Got A Friend In Me, FS - Chaplin (same as last season). Evgenia Medvedeva's mother has revealed Brian Orser and David Wilson will accompany Evgenia to the Russian Test skates from September 8-9. Tracy Wilson will be her coach for the Russian Nationals in December. Brian Orser will be accompanying Yuzuru Hanyu to the Japanese Nationals in the same period (Source). Stephen Gogolev performs a spin during his free program (Photo credit). You can watch full clips of the Junior Grand Prix performances and a livestream on the ISU's official Youtube channel with commentary by Ted Barton. Junior Men - 1st: Stephen Gogolev (CAN), 2nd: Mitsuki Sumoto (JPN), 3rd: Daniel Grassl (ITA). 13yr old Stephen is the youngest male skater land a 4Lz in competition. Keep an eye out on Sunday for a special competition wrap-up article containing everything you need to know about JGP Bratislava! Shoma Uno and his brother Itsuki Uno kicked off a soccer game of the Nagoya Grampus (source). Yuzuru Hanyu skated his exhibition program "Notte Stellata" on the fundraising TV show 24HR TV - the performance was pre-recorded, not live (source). Russian Junior ladies skater Anastasiia Gubanova is injured from serious boot problems, according to coach Elena Bujanova. There is currently uncertainty about whether she can make the Junior Grand Prix series but hope is that she can recover in time to participate in the latter half of the JGP (source). Shoma and Itsuki Uno at the game (Photo credit). Shoutout to the puppies, cooking and various on-ice fun times at Team USA's annual #ChampsCamp18. Various updates are being posted across skaters' social media (Instagram stories of the various skaters' accounts are a good bet if you want new content) and official Facebook. 2010 Olympic Champion and 2014 Olympic Sliver Medallist Yuna Kim appeared on an Instagram Live for New Balance Korea (Source). We love some hilarious Boyang Jin social media shenanigans. Follow him on Instagram for more adorable updates - his fanpage on Twitter regularly shares and translates his Weibo and Chinese social media updates too. Team USA at Champs Camp (Photo credit). Did we forget some news? Help us be even more comprehensive next week by DM-ing us news to our Twitter!